To be an effective teacher, you need to have great organizational skills. Being organized helps you stay on top of the dozens of tasks that need to complete each day including marking papers, writing lesson plans, and planning parent meetings. Being organized will also prevent your work life from becoming too chaotic and reduces any work-related stress. One of the best tools for staying organized is a teacher planner. They are large journals with plenty of space for teachers to write down reminders, daily schedules and the important information. Teacher planners can help you run a tight ship in the classroom, keeping the children busy and helping you stay on top of your workload. There are dozens of teacher planners to choose from, with different layouts and features. 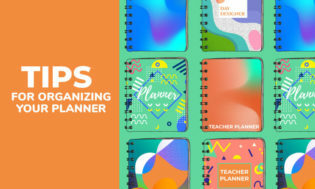 To help you purchase the right one, this guide will identify the benefits of a teacher’s planner and review 5 of the best teacher planners for staying organized. If you are a busy teacher with a packed schedule, it is important to find a teacher’s planner with plenty of room to jot down your daily schedule and reminders. Look for planners with additional sections for notes, todo lists and ideas. It’s best to keep this information in a central section so you can find it again with ease. Teachers often have very different teaching styles, which means they also have unique requirements when it comes to teacher’s planners. If you are the kind of teacher who meticulously plans each day, you may require a planner that has plenty of space on the daily pages. If you often run pop quizzes, you may need a teacher’s planner with a student quiz score section, which makes it easy to identify the students that need more help. Think about the unique features you really need in a teacher’s planner. Life is very busy for most teachers. They are usually rushing between classes and have a busy life outside of school. Any teacher’s planner they purchase must be designed with a high level of durability to keep up with the rigors of daily use. Look for a teacher’s planner that has either a hardcover, a laminated cover or a plastic coated cover. This will prevent moisture from ruining the pages inside the planner as easily. You might also prefer to choose a planner with thick paper pages as they will be more tear resistant. Teachers often need to take reminders and notes about meetings. They also need a place for ideas that pop into their head about future classes or alterations to lessons. It’s important that a teacher’s planner has blank space available for these small items. Here are the 5 best teacher planners on the market. They are all well-made products that are attractive, highly functional and useful for keeping any busy teacher well organized. 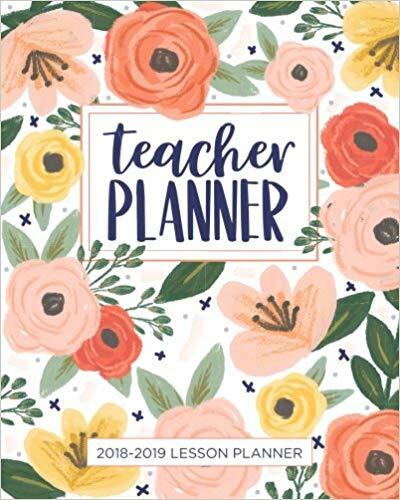 This 9” x 11” teacher’s planner from Bloom Daily Planners is packed with many useful features for a busy teacher. It is an undated teacher planner/lesson planner with 12 monthly views for scheduling it events and 60 undated vertical weekly planning pages. This allows you pencil in particularly important reminders in both the monthly or weekly section. It features many supplemental pages including a personal information page, mission statement page, student information page, website logins page, contact log page, and field trip planning page. This planner also features 8 grade book spreads, which contain 26 rows for assignments and 36 slots for students per spread. These pages make it simple to make note of how well students are performing. 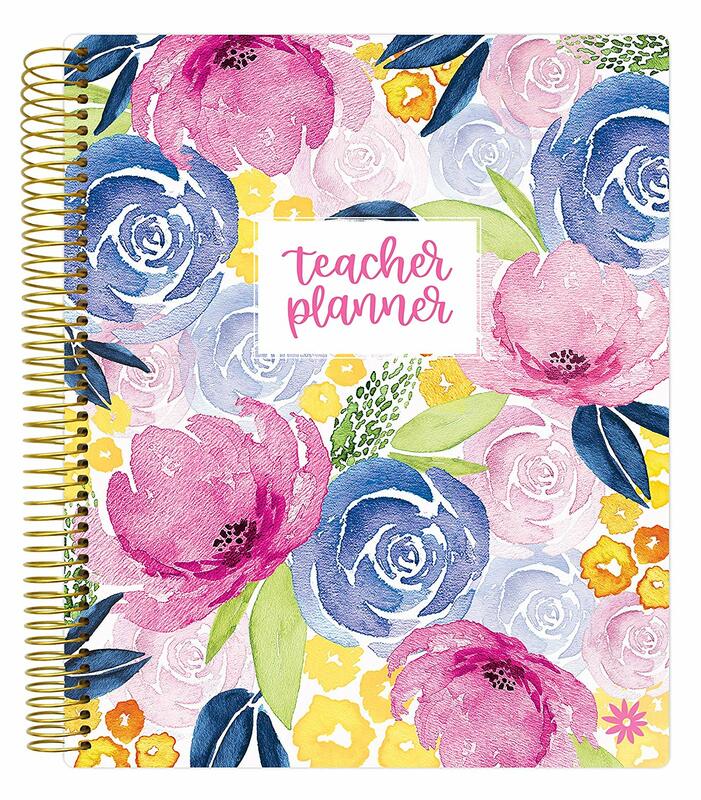 This teacher’s planner is available with 4 attractive covers — floral, chalkboard, learn with joy, and marble. It’s colorful pages also include inspirational quotes and beautiful illustrations. This beautiful teacher’s planner is packed with features. It includes monthly spread pages, a notes section, inspirational quotes, and fun holidays that your students will love to learn about. The weekly spread sections include enough space for writing lesson plans for up to 7 subjects. The colorful cover is very attractive and the internal pages have a simple design that is easy to use. This planner is ordered very logically, with each monthly calendar being followed by 4-5 weekly lesson plan pages. The weekday is found at the top and the left have side contains several subject boxes. It also includes an important dates spread and a student birthdays page. Elan Publishing are one of the leading manufacturers of journals, diaries, and teacher’s planners. This is one of their best selling products. It is a 8 1/2″ x 11” teacher’s planner containing 40 weeks of lesson plan pages. The days of the week are spread horizontally, with lesson marker down the side. It also includes a seating chart, daily schedule, monthly schedule, and durable hardcover. There are 36 weeks of recording pages, with 50 names per page and 9-10 weeks of marking period pages. 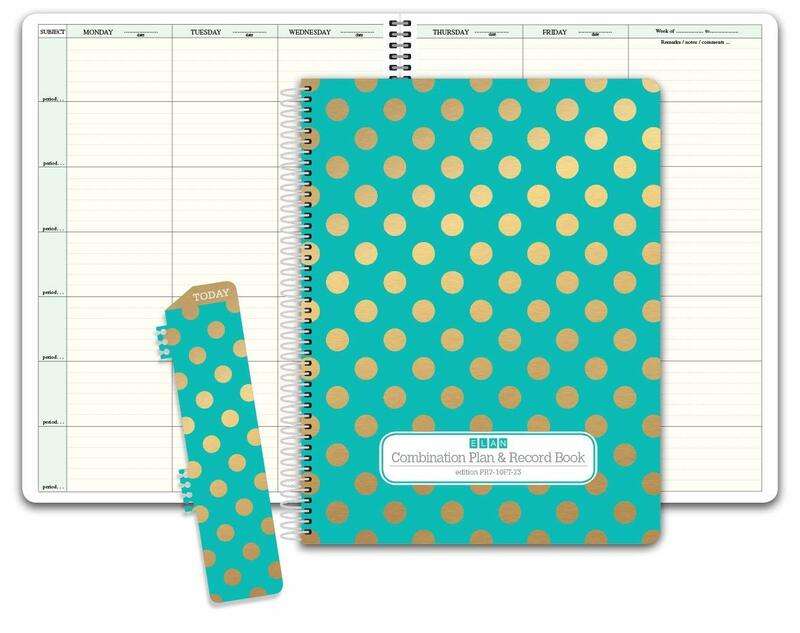 This planner is ideal for a teacher whose primary concern is remaining organized and tracking the progress of individual students. The feature-packed teacher’s planner has 12 months of weekly and monthly pages to make class planning simple. 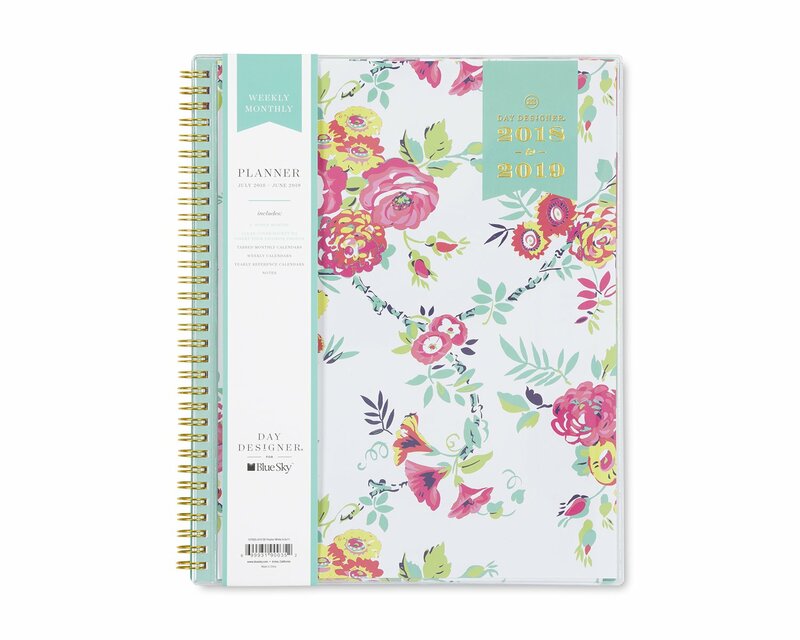 Measuring 8.5″ x 11″, it is an attractive planner with a bold floral design on the front cover. Inside the planner, there are two pages for each month and two pages for each week. The weekly overview has plenty of room for daily schedules and there are separate sections for todo lists, and notes. The full year calendar has a holidays page which makes yearly planning easy. 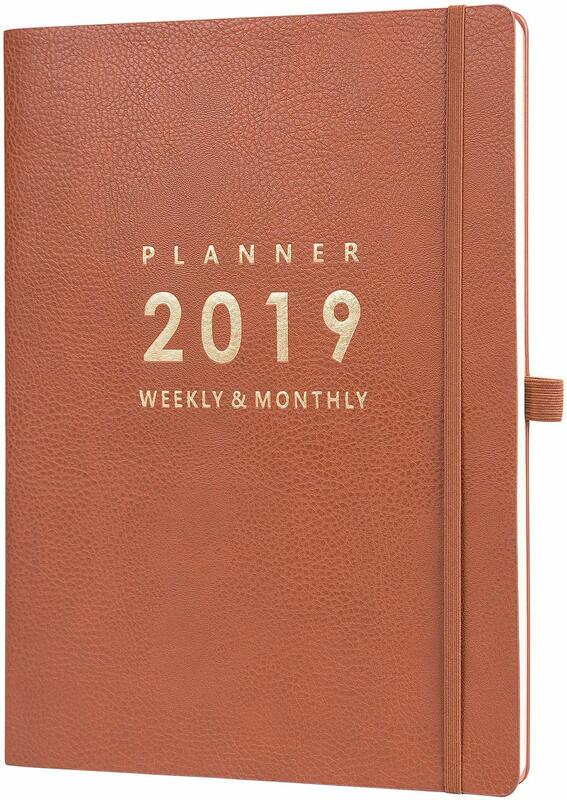 The planner is made with a strong twin-wire binding and thick paper pages. This one year planner by Lemome has an excellent monthly management section which includes space for notes on the plans for the upcoming month. It also has a lot of space for week schedules, with each week being spread across a couple of pages. The large A4 pages give you plenty of room to include additional notes and ideas for class activities. Other features include a soft cover, reference information, calendar stickers, annual overview, holidays, contact section, inner pocket and ribbon bookmark. All of this functionality is packed within a stylish faux leather cover with gold lettering. Identify the most important dates that occur that year and add them to your calendars. This might include annual conferences, school sporting events, special holidays, and parent teacher meetings. Your students will love it if you remember their birthdays! Add them to your annual or weekly spreads. If you have appointments that you know often get moved around or are repeated many times, use a cut up sticky not to mark it. If the appointment is moved or occurs again next week, you can just remove the sticky note and place it in the new location. It’s important to remember when parents contact you about issues involving you class or your students. Make a note of these contact points so you stay on top of any parental concerns. Todo lists are one of the best ways for teachers to get all of their essential tasks done each day. Place them into the daily pages of your planner. Add colors to your meetings so you can quickly differentiate between administrative meetings, teacher get-togethers, and parent meetings. If you have a list of 5 or 10 important events that must occur during the class, add them to the back of your book so you never forget them. As you can see, there are many fantastic teacher’s planners available! 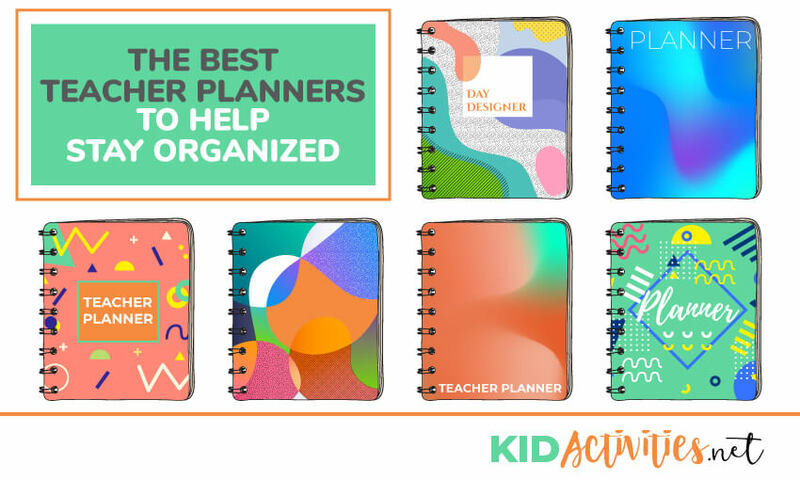 They are quite affordable and will make a remaining organized during the school year much easier. Thanks for reading 5 of the Best Teacher Planners to Stay Organized. If you have any questions about the best teacher planners, leave a message below. Make sure you check out our teacher backpack reviews as well.